Before buying Guppies or any other Livebearer fish there are various factors that you should consider. Such as where to buy the fish? Is it safe to buy online? And what are some of the things to watch out for when buying the fish to make sure that you’re buying a healthy fish. Guppies and other Livebearer fish can be bought from breeders, pets stores, or online. 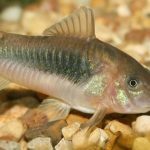 Where to Buy Guppies and Other Livebearer Fishes? Fish Pet Stores: Guppies and Livebearer fishes can be bought from fish pet stores, where they are typically sold at very reasonable prices. They usually get their stock from tank-bred fish that are breed by aquarium hobbyists. Buying Guppies and other fishes from a local fish pet shop is the most common way people obtain their aquarium fishes. Most fish pet shop has a large variety of Livebearer fishes in stock since they are one of the most popular types of fish, you should be able to find the common breeds easily. Online: It’s becoming quite common for hobbyists to shop online rather than in-person at their local pet shop or through a local breeder when looking for that perfect addition to their aquarium. There is wider selection of fish, the variety of different colors and species. You can buy just about any type of fish from anyplace in the world online. Many people choose to buy their fish online because it’s the only way to obtain rare and select breeds. Rare and exotic fish that are hard to find locally can usually be purchased online from breeders. Make sure to do research on the seller before committing. Read through some of the customer reviews to know how the experiences of the other buyers were. If there have been a lot of problems and complaints from previous customers, then it’s probably not a good idea. Try to find an online store or breeder who has an “alive arrival” guarantee, they will usually ship the healthiest fish and take extra care in packaging the fish to minimize stress during the shipping process, otherwise they’ll be taking a lost. 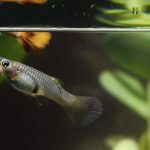 Local Classified Ads: Guppy and Livebearer fish breeders will sometimes put ads in local classified Internet listings like Kijiji, Craigslist or pet classified ads. So if you’re looking for something specific, it might not be a bad idea to check them out. Plus they’re usually very affordable. You can often also score some nice used aquarium equipment for cheap as well if you are just starting out. Some breeders might even offer Guppies and Livebearer fishes for free as they breed so easily that sometimes the owner doesn’t have the tank space to accommodate all their fishes. Of course, always try to be safe when meeting a stranger! Before making a purchase, it’s a good idea to make sure that the store is taking good care of their fishes and aquarium tanks. Otherwise you might be bringing unwanted parasites and bacteria into your home aquarium tank. Look at all the tanks for signs of dirtiness. If there is a film of algae on the aquarium tank walls then you may want to shop elsewhere. If any of the fish in the store appear to be ill, lifeless, or unhealthy then do not purchase any fish from that store. 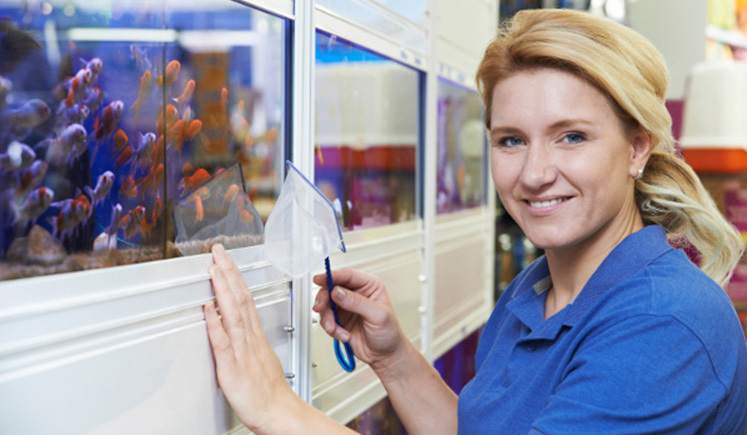 A reputable fish pet store will always keep their aquarium fish tanks very clean and the fish should appear active and healthy. Before buying Guppies or any Livebearer fishes, you should examine it closely. Select fish that are lively and active – they shouldn’t be floating at the surface or hanging around at the bottom of the tank (unless of course it’s a fish that likes to swim in the bottom of the tank like a Cory Catfish). If possible, visit the store while the fish are being fed to see which fish have a healthy appetite. 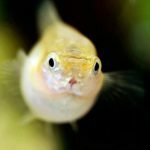 There are several things to look for when determining if a Guppy is healthy or sick by examining the body, the skin, the fins, the eyes, and the gills. Body — The body of a healthy Guppy and Livebearer fish is a bit chubby. They shouldn’t look bloated and scales sticking out, these fishes are actually really sick. A fish that has a too big head compared to its body has been underfed. Skin — A healthy fish’s skin will be blemish free and scales lay down flat on their bodies. Raised, damaged, or missing scales are an indication of illness. Also make sure no white film is showing around their mouth. Fins — The fins of a healthy fish will be upright, and will move often. A fin that stays close to its body or stays in a side is most likely sick. A fish with any missing or only partially formed fins is not healthy. Fins that appear ripped or torn indicate illness or have been bullied. Eyes — A healthy fish will have bright, open eyes. Eyes that bug out, or look cloudy indicate illness. Gills — The gills of a healthy fish will move in and out slowly. When the fish breathes, the gills will open up, if the gills are be a pale red color then the fish is healthy. If the gills are moving fast then the fish may be sick. Only buy fish that are in good health. If you purchase fish that are sick then and introduce them into your tank at home then your other fish will likely also become sick as well. Sometimes it’s tempting to buy a sick fish if it is a rare breed that you are looking for. If you absolutely must have that rare sick fish, then quarantine the fish when you bring it home and treat it till it’s healthy for at least four weeks before adding it into your main aquarium tank. 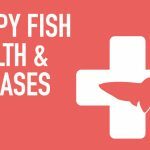 If you have followed the above steps in selecting a healthy fish then quarantine isn’t necessary. 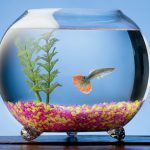 However, if you want to play it on the safe side, you can quarantine your new fish for two to four weeks by having them in a quarantine tank. This gives you additional time to watch for illness and disease in the new fish before joining the regular tank. Proceed with caution whenever you are acclimating / transferring any fish or invertebrate into another aquarium tank. The fish needs time to adjust to the water parameters such as temperature, pH and nitrates level in the new aquarium tank. Fishes or any invertebrate are very sensitive to minor changes in water parameters, therefore any rapid changes in any of these water parameters will result in the fish dying. Let the bag that has the new fish in it float around in your aquarium tank for about 20 minutes. 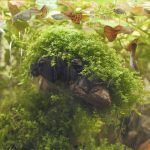 Add water from your aquarium tank into the bag. The bag should end up containing half it’s original water and half tank water. Pin the top of the bag to the cover of your aquarium and allow it to float there for another 20 minutes. Using your fish net or a cup, scoop the new fish from the bag into your main aquarium tank. After 3-4 hours, turn the aquarium lights back on. Avoid releasing the bag’s water into your home aquarium tank to minimize the chances of introducing unwanted parasites and bacteria. To review other methods to transfer your fish from the pet store, please read our Acclimation Methods to Add New Fish article. Buying new fish is fun but make sure it’s in healthy condition. Always purchase your fish from a reputable breeder or local fish pet shop. Check the fish for signs of illness and make sure they are healthy before you make your purchase. Also, be sure that the new fish you select will be compatible with the fish you already have at home. Some species are more aggressive than others. If you have too many aggressive fish it will only be a matter of time before they start fin-nipping each other. Before buying Guppies or any fish, make sure you have thoroughly read through the fish’s care guide for details about the fish, and information on the different species they are compatible with.